One of the most strikingly vivid of exotic fruits I have come across has to be the Dragon Fruit, also called Pitahaya Fruit. 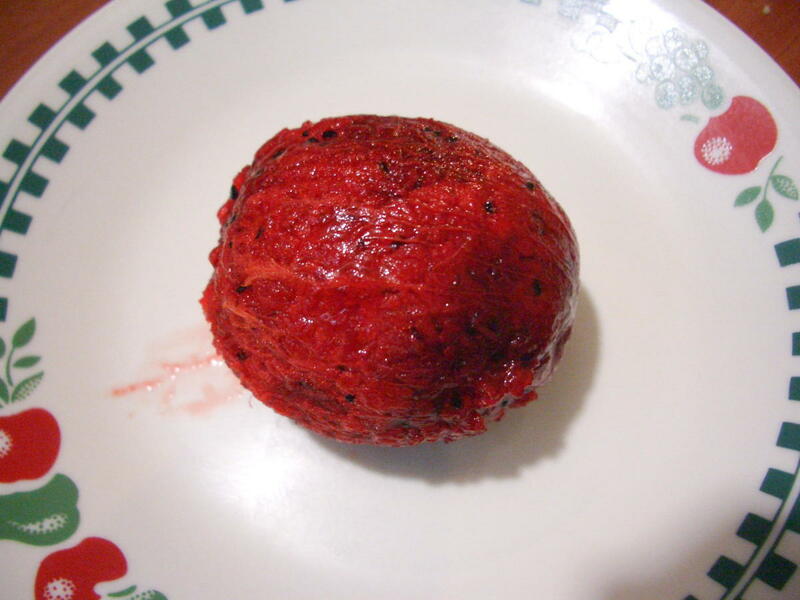 Visually it is a most unusual looking fruit both on the outside and on the inside. I envy any of you who see this exotic creation in abundance where you live as it is not a native or even naturalized fruit where I come from. The fact it is a cactus fruit just as the prickly pear cactus fruit or sabras cactus are, makes it an even more appealing and intriguing fruit to me as I have long been a fan of cacti succulents. Pitaya Fruit are often classed as Dragon fruit and in fact belong to a different genus so to clear up any confusion, let’s take a look at two exotic beauties, the Pitahaya and Pitaya Fruits. The Stenocereus group of Pitaya fruits (sour Pitaya) are commonly found in the most arid regions of the Americas. The Sonoran Desert in Arizona, one of the hottest deserts in North America, is home to the pitaya agria (Stenocereus gummosus), a sour pitaya that is an important food source of the Native Americans. 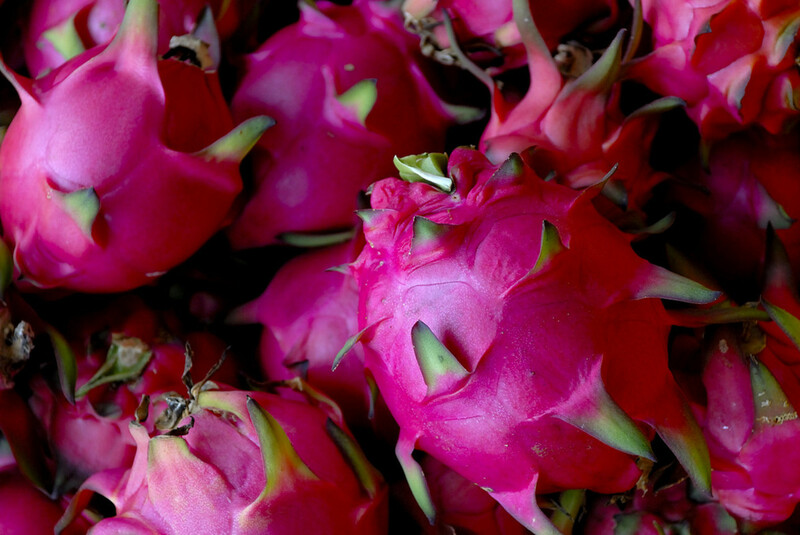 Also cultivated in Mexico, these “sour” tart fruits include some species that may taste a little sweet but still not as sweet as the Pitahaya Dragon Fruit ones. 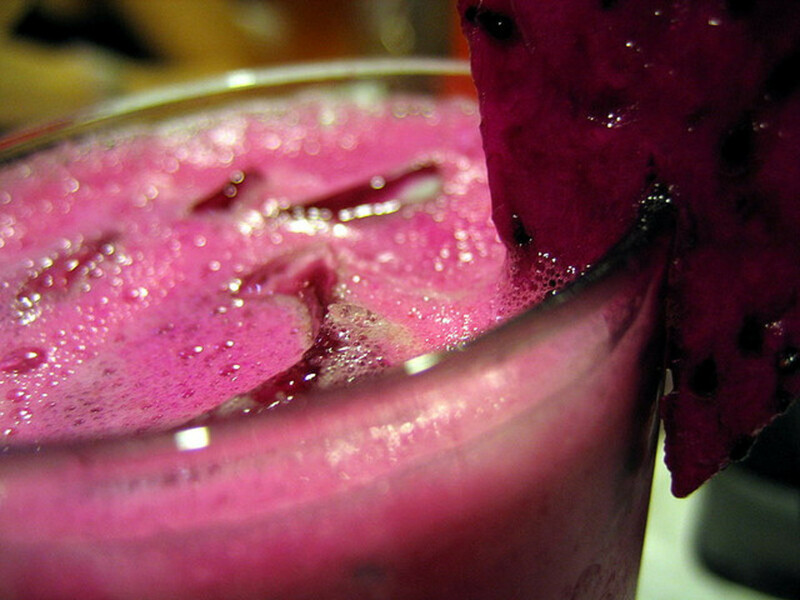 Pitaya are said to taste more like a watermelon. Pitahaya Fruit, commonly called Dragon Fruit, Strawberry Pear and Nanettika Fruit, are the fruits found on the vine like cacti of the genus Hylocereus. They are native to Central America, South America and Mexico. 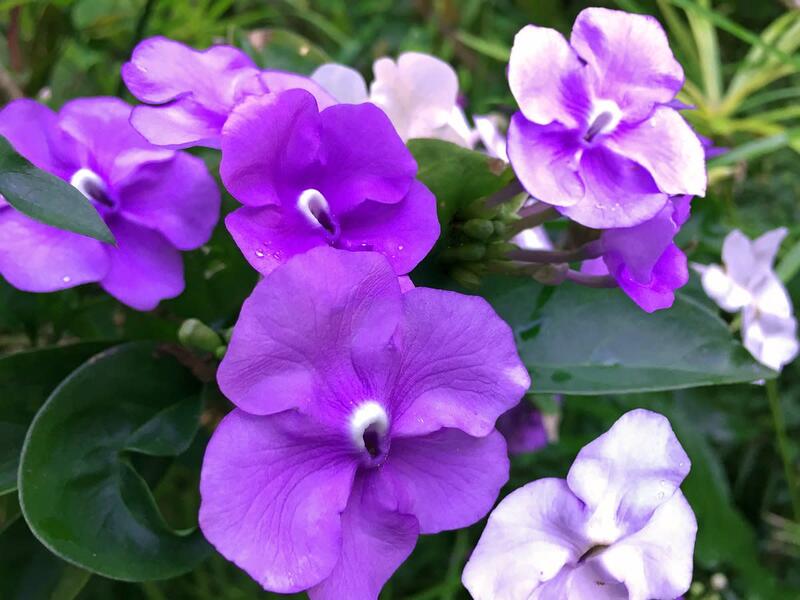 Thankfully today they are more widespread and grow extensively throughout East and Southeast Asian countries including Cambodia, Vietnam, Thailand, Indonesia, Malaysia and the Philippines. 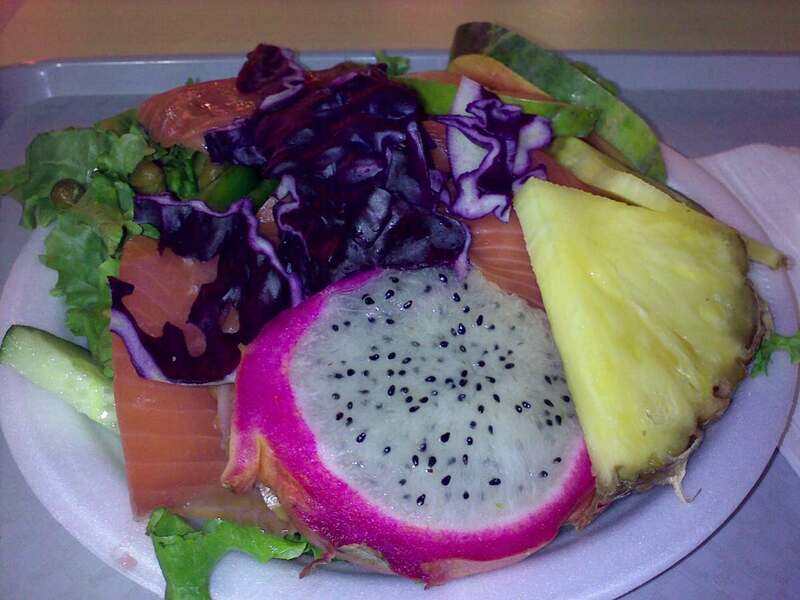 They are also cultivated today in Hawaii, Cyprus, Israel, South China, and Okinawa and in Northern Australia. 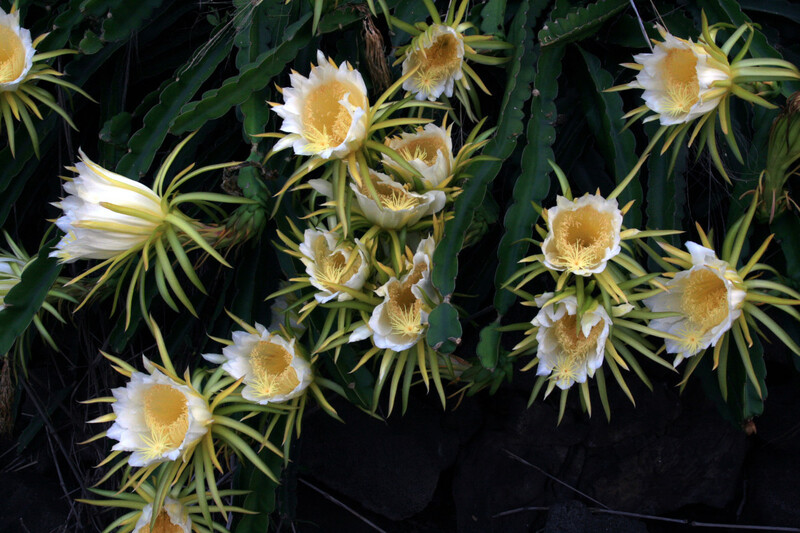 These cacti have beautiful fragrant white flowers many do not see bloom as they only come out at night and have been called moonflower and Queen of the night. Apart from growing wild, or commercially, these cacti are often used as ornamental plants in the home, grown in private gardens or as an indoor plant. 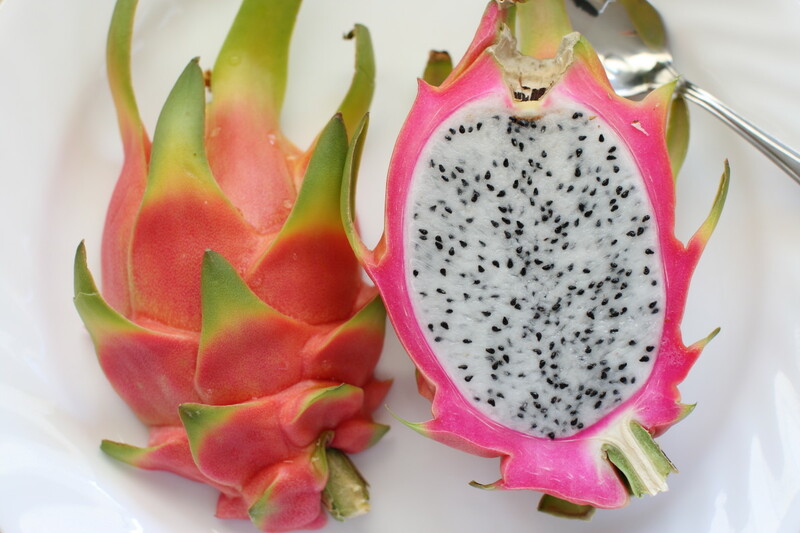 The Dragon Fruit of the Hylocereus is generally sweeter than the Pitaya Fruit and the flesh is creamy with many tiny black seeds which are edible . Its taste is not as striking or exotic as its appearance and has been called “bland”. The taste is similar to a melon or kiwi fruit but sweeter. Hylocereus undatus is red skinned Pitahaya fruit with white flesh and is the most common of all Dragon Fruit and is known as Pitahaya Blanca. 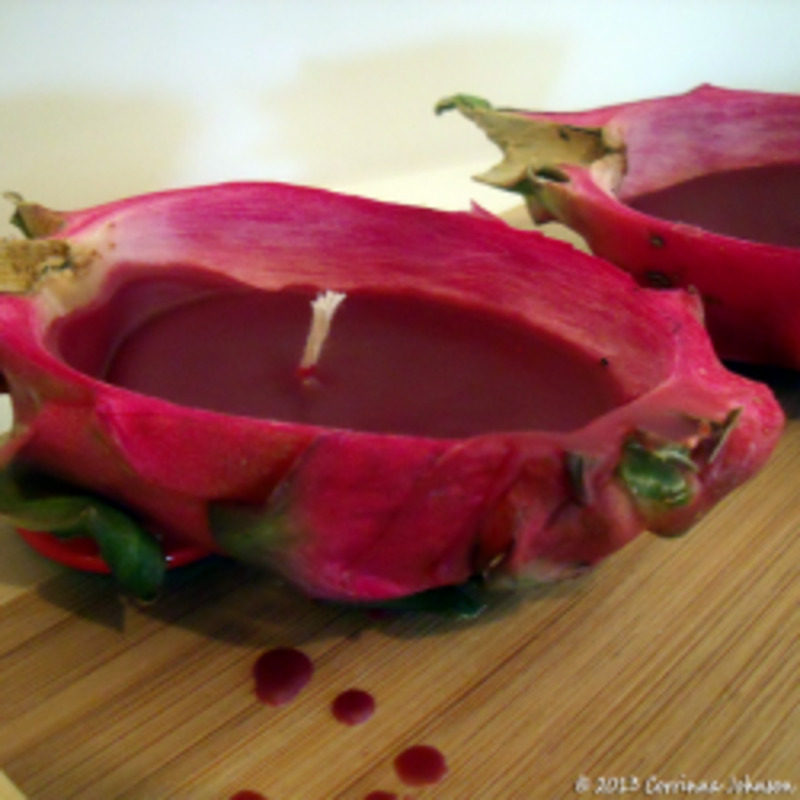 Hylocereus costaricensis is red skinned with red or purple flesh and is commonly known as Pitahaya Roja. Hylocereus megalanthus is a yellow skinned variety with white flesh and also known as Pitahaya Amarilla. As shown in the video (3 methods of growing from seeds) it is possible to grow these from the seeds in the fruit at home. 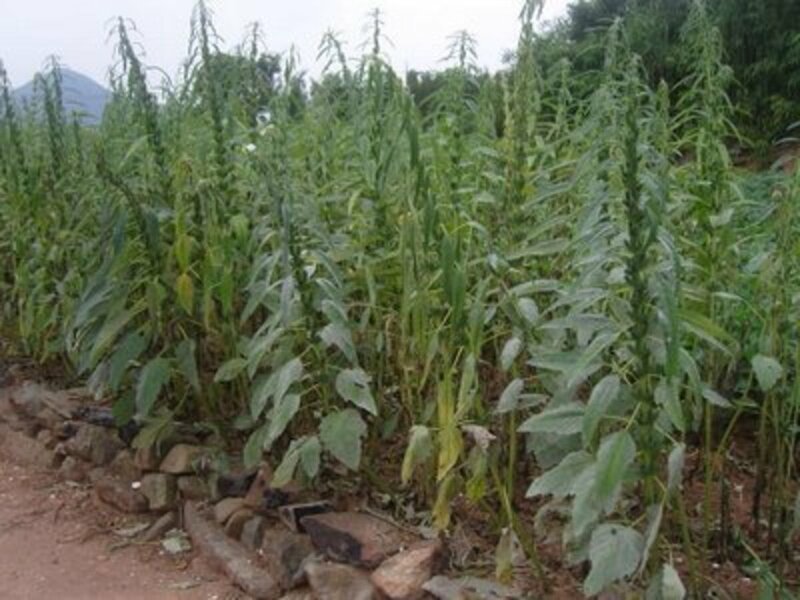 The plants are usually grown in the soil and favor the tropical warm climates and have the ability to withstand some rainfall. Natural climbers, these vines like plants will commonly attach themselves to something as they continue to develop. 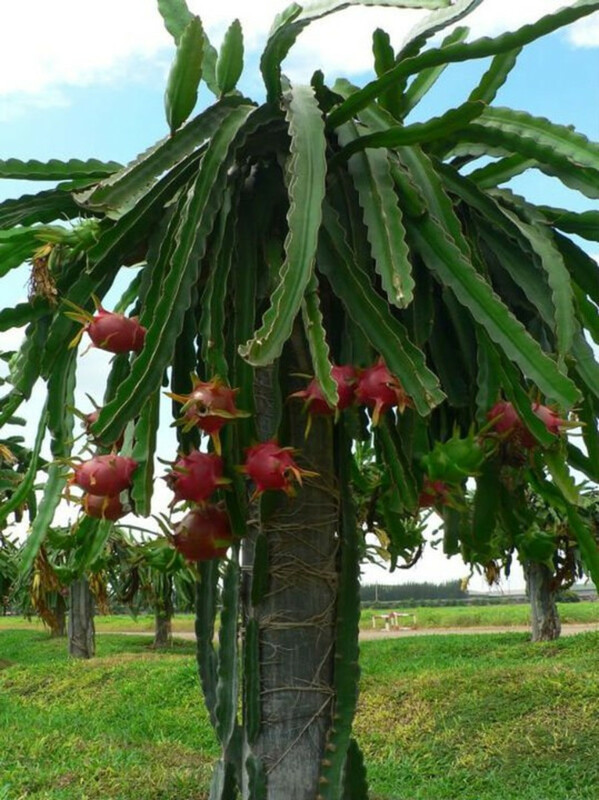 Another way to grow the plant is from a broken healthy piece of stem and is commonly used in homes to root and grow Dragon fruit successfully. Two intriguing facts about these cacti is the flowers only come out at night and it is then that they are pollinated by bats and moths. This is extremely important as without the bats or moths very few species have the ability to self pollinate. As much as we may not be enamored with bats, they are important and certainly play a major role in the Dragon Fruit cacti plants. 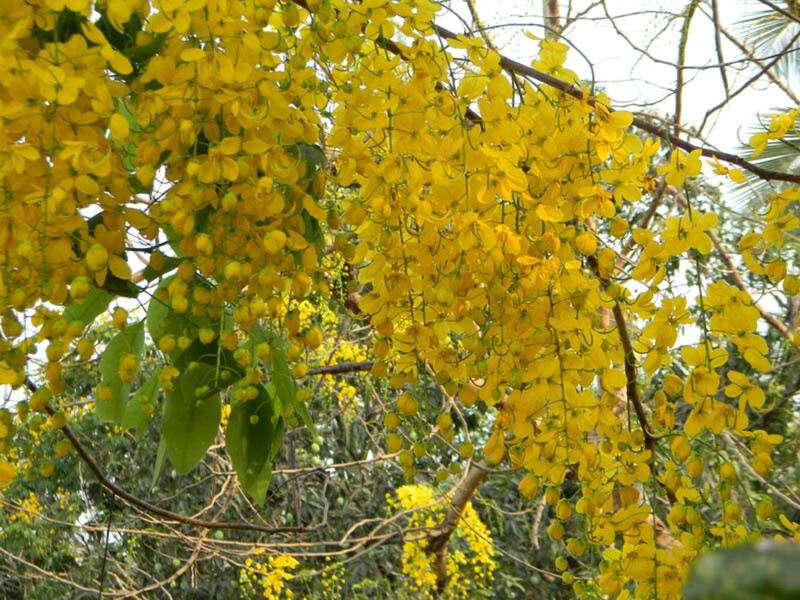 Approximately 30 – 50 days after the flowers are gone, the fruit appears and will often have 5 – 6 harvests per year. 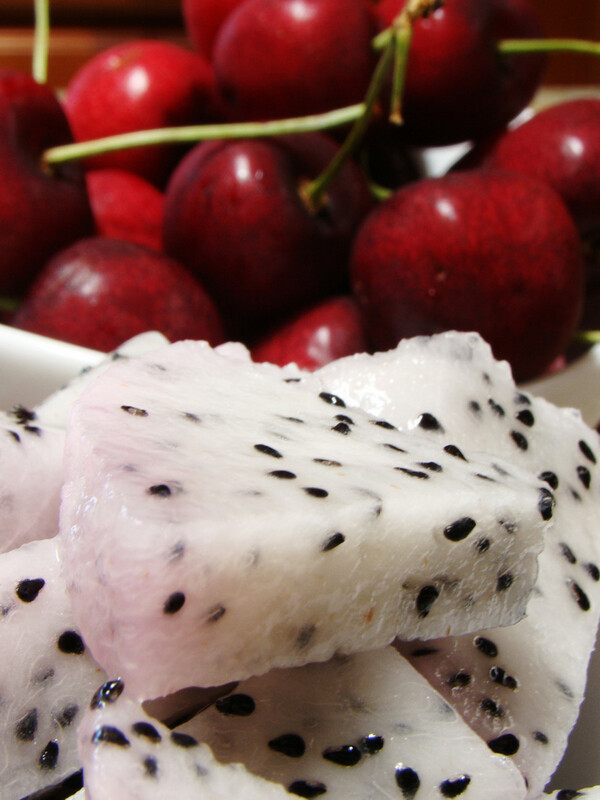 Dragon fruit are extremely nutritious and beneficial to our health. High in Vitamin C – helps build the Immune System and is a Natural Detoxifier. High in Protein - boosts the Metabolism. Calcium – helps Strengthen Bones and Teeth naturally. Fibre – aids in Constipation and Irregular Bowel Movements. Also contains in lesser amounts: Vitamin B12, Vitamin B1, Vitamin B3, Antioxidants, Phosphorus, Iron, Ash, Carbohydrate and Carotene. Look for fruit with bright colored skin. Signs of it being over-ripe are many brown blotches on the skin or stems that are brown, dry or brittle. Leaves with brown tips are also a sign it may well be over-ripe. Press the skin with your thumb. It should give a little, not be soft and mushy (over-ripe) to the feel or have no give at all (not ripe yet and will need a day or two to soften up). An easy fruit to prepare at home, there are several methods of cutting the fruit. Like a melon, you may slice down the length of the fruit to have two halves. Using a spoon, scoop around the fruit flesh, releasing it from the skin and set on a chopping board. Check for any skin and remove as it is indigestible. Chop the fruit into cubes and put back into your skin as a serving dish! Easy and makes for a stunning presentation too. Equally you could cut the flesh into segments, slices or mash depending on what way you are using the fruit. 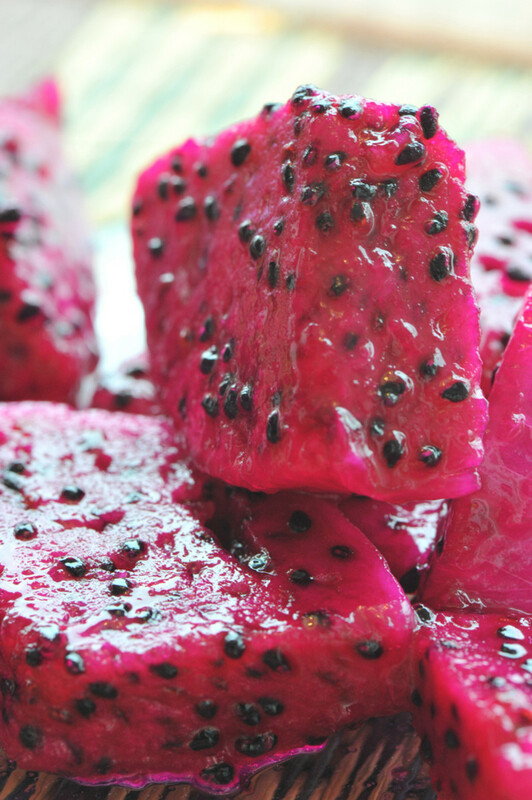 Ever tried Pitahaya, Dragon Fruit? No but have seen it before. Yes and did find it quite bland. No but it sounds and looks amazing. Would love to give it a go! Have you heard of Ugli Fruit? Ugli is the trademark name of The Jamaican Tangelo Fruit under which it is sold. The first Ugli Fruit Tree was discovered over 80 years ago and is still delicious today. The Breadfruit Tree is grown in over 85 countries and dates back some 3,000 years. One of the most useful trees grown in tropical regions breadfruit is an important food source for many cultures. What are Rambutan Fruit? Have you heard of them? These exotic lychee like fruits are one of the most exotic in the world. A guide to Rambutan Fruit, their nutritional benefits and recipes included. Did you know that ALL the Fuchsia plants produce berries? Not only that, they are ALL edible fruits. Wow, it was certainly news to me and the Fuchsia have been one of my must have plants for years. If you have access to these fruits they are well worth trying! Thanks so much for your interest! So good to see you and delighted you enjoyed this one, great minds think alike! LOL Enjoyed your hub greatly as I do all yours and always learn new things. Appreciate you linking too, it is an honor to have it on your one! Thanks so much for your votes and share my friend! Wonderful information on all aspects of the dragon fruit, Suzie. I'll be including a link to this hub in my hub on dragon fruit as well. So you have had the pleasure of the red variety?? It does leave you a bit red in the mouth! I would love to grow them in my garden too and hopefully when we move to sunnier climes i will get to have my own tree! Appreciate your votes!! I wished to grow a dragon fruit tree in my backyard too. I think all cactus flowers are like that, that they only bloom at night. Lovely comments, that you very much! You are so lucky having a ready supply of this gorgeous fruit. Yogurt and Pitahaya is just my sort of breakfast . These treasures are so beneficial for our health so no wonder you enjoy these daily, why not!! Living in Bangkok you have wonderful foods there and probably so much cheaper since they produce them. Continue to enjoy your life in Thailand, what a wonderful experience! Thanks again for your support, follow, votes, shares, and pin, greatly appreciated! Great to see you, hopefully you will find dragon fruit locally or on your travels. They are so unusual looking you should be able to spot them easily enough. 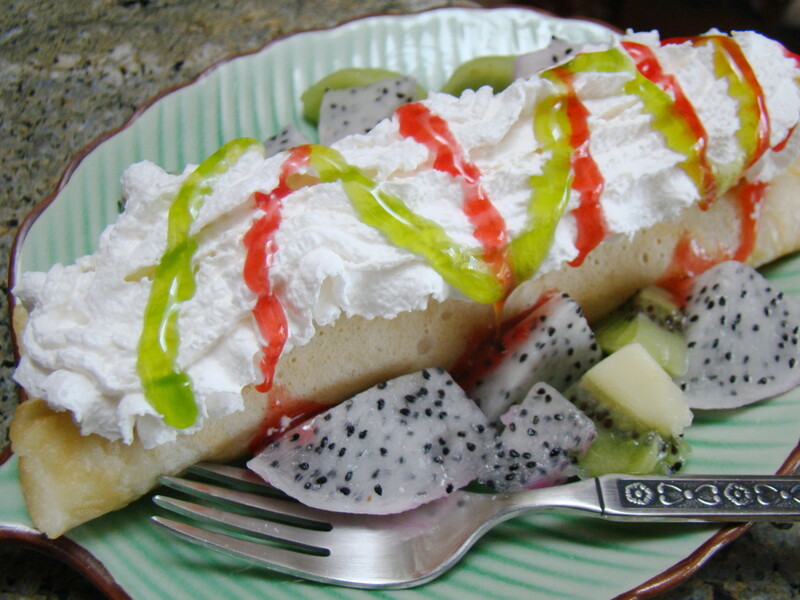 Asian food stores or Mexican ones are the likely places to stock them or any Markets specializing in exotic foods. Appreciate your interest, votes and share Peggy, have a great weekend! This is a very interesting and useful hub. 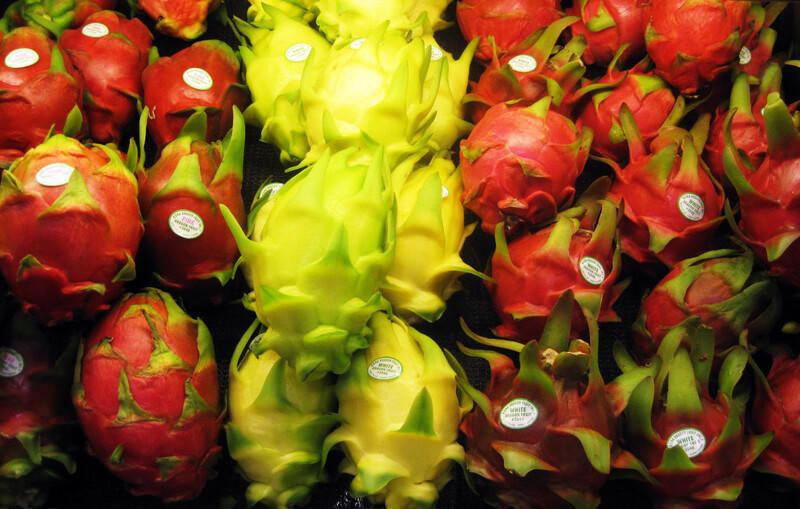 I knew nothing about the Pitahaya Blanca (Dragon Fruit) until I started living in Thailand. I have it every morning topped with yogurt and it is really delicious. If you regularly eat this fruit, you will never have to worry about constipation. I buy it at the local supermarket and it goes for $1.67 per kilogram when not in season. Voted up and sharing with followers and also pinning. I've seen these, but had no idea what they were. Thanks. I might try them at some point. They look very interesting. Goregous plant. And the fruit looks way too pretty to eat! Never seen it for sale anywhere I have been though, so I won't have to worry about wanting to keep it for looks. Very interesting hub! Voting up! I have never noticed these exotic looking fruits for sale in our stores...but will be on the lookout for them in some specialty food stores. Would love to sample them! Thanks for writing this interesting hub. Up votes and sharing. oOooh....sublimely seductive hub full of juicy sweetness, with delicious illustrations and videos. A gorgeous promotion of a gorgeous fruit....which I'd love to taste some day. Since I was born in one of the Chinese years of the Dragon, this sounds looks like a fruit that I must find and eat sometime soon! I'd sure love to grow some in my garden! The prickliness of the cactus could keep away foragers so I get to taste some of the fruit, too....and it would be lovely to see the night blooming, too. I wasn't aware of that kind of fruit but it seems really tastefull. Thanks for the recipe tips! Glad you enjoyed photos! I was spoilt for choice with the selection and look forward to giving planting a go when we move to sunnier climes! Thanks so much for commenting! Thanks so much for checking this out and for your compliments. Hope you get to taste again this exotic beauty! Great hub; you found some fantastic photos. I think we may be able to grow this where we are, and this makes me want to try! Thank you for this beautiful and well-presented hub about this exotic fruit. I have eaten it only once but from what I can remember I loved the taste. Delighted you are going to give this a try, the skins are perfect as little serving bowls too. i would love to try growing some from seeds so it will be interesting if you get them going! Good luck and many thanks Thelma for your enthusiasm. Great to have you visit as always srsddn. 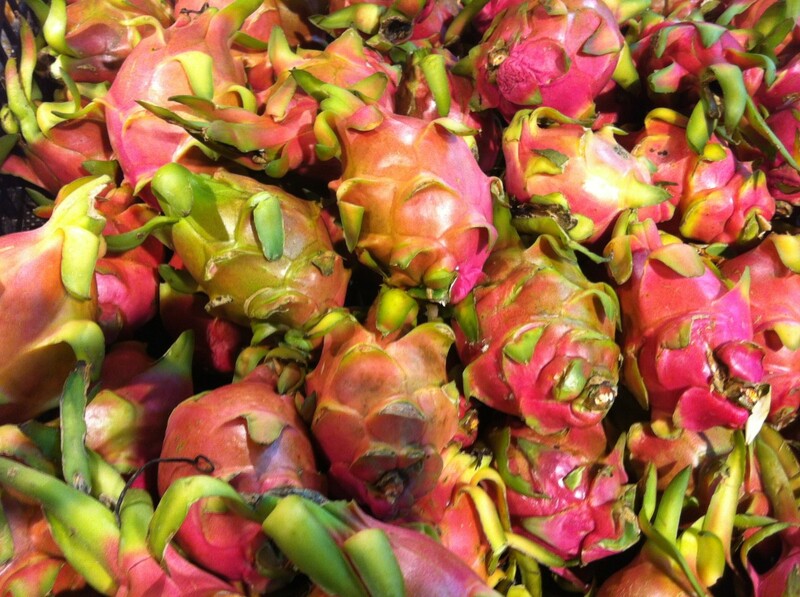 The Dragon fruit is such an unusual looking fruit it is hard to miss when growing or in markets. Hopefully you will get to see it and try it out in the future. Appreciate your interest and support here! Cheers for your thumbs up and shares! This is a beautiful fruit. I have seen this in the open market here in my hometown, but I have not tried it yet. Now you give me an idea of planting this fruit in my garden. Thanks for sharing this very informative and useful hub. 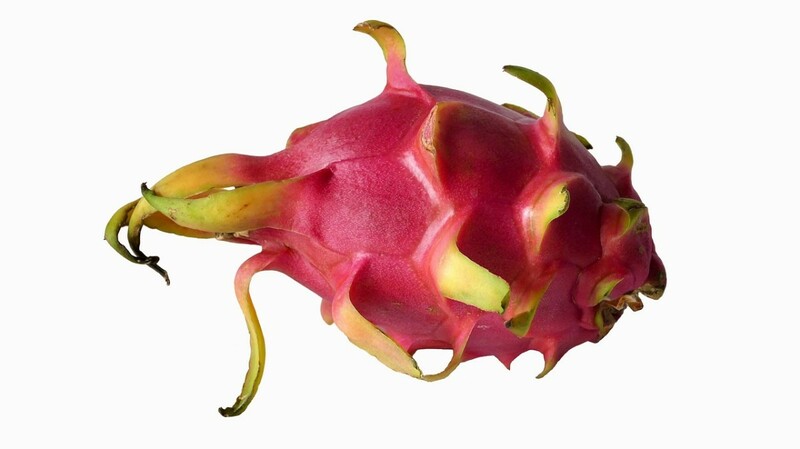 I have to buy this dragon fruit this weekend. Suzie, There is so much in this world to know. Have never heard about it but as the name suggests these are rightly called dragon fruit. Liked the demo on how to eat. Thanks for introducing a unique fruit with recipes and benefits of eating it. Thumbed up and shared. Hope you enjoy trying this sometime, thanks for commenting! Cheers for taking a look here, one to watch out for and try if you get the opportunity! When I saw this first i was stunned at the color of the skin,the cactus tree it was on and then seeing the dramatic different insides. A real stunner! Glad you enjoyed and found useful! Many thanks for dropping in! it is definitely a unique looking fruit that you would not miss in the markets. Hope fully you will get to sample it on your travels. Appreciate your votes, shares & pin, always! That's it . . . . spot on, me in my little countryside thatched cottage concocting up these obscure mythological fruits! LOL Alas, no this is alive and well and a real find! You and me both in rainforest or certainly rain for us!! Always a pleasure to see you my friend! Loved this--a fruit I had never heard of---I will keep my eyes open for it! This is a new one to me. Looks really good. It is such a beautiful succulent. Susie, this is amazing. I've never seen or heard of the Pitahaya Fruit. What an interesting looking fruit. I would love to try this, it looks great. The photos you selected are wonderful, so colorful. I'll have to add this to my list of new fruits to look for in my travels. Great job, voted up, shared, pinned, etc. Obviously I have never heard of this. What do I know about tropical? I live in a rainforest for God's sake. As always you did a great job of informing. Well done, Irish!